I remember about 1 1/2 years ago discussing a theory I had with Boog's OT. At the time, Boog would randomly start crying and I would go through my normal checks because he's non-verbal (boo-boos, diaper, hungry, thirsty, tired) and non would apply to said crying. I gave him some ibuprofen once and it seemed to work. I wondered if he had a headache. I actually listened to his tummy to see if I could hear if it was upset (I told you Autism Moms were awesome) and heard nothing. It happened just about every day so I was determined to figure it out. I don't remember how I thought about it or if maybe my Mom said it but, growing pains came up. Why hadn't I thought of that earlier?! Boog had been growing like a weed and still is. I did some research and found out that boys sometimes have worse growing pains than girls. I wouldn't know because I basically stopped growing at age 12 and just barely passed five feet tall. So next I looked for a solution. 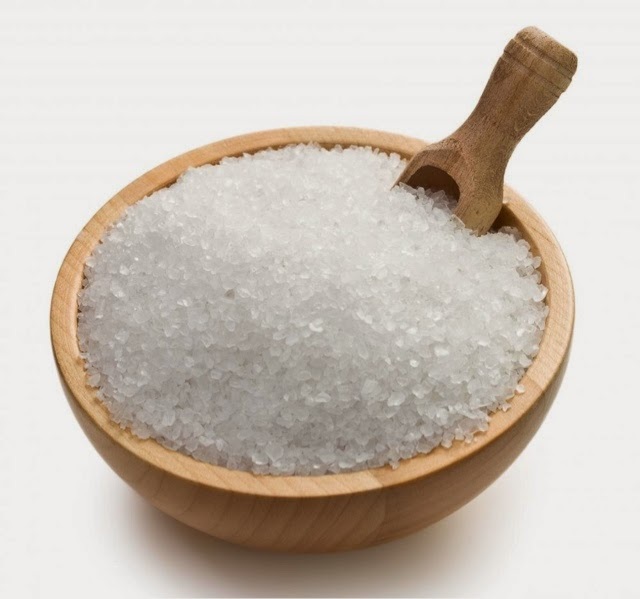 I saw lots of articles about Epsom salts relieving muscle pain and even helping with sleep. So, back to the OT. I asked her about it and she had heard the same thing once. Being the incredibly kind lady she is, she ran off and quickly returned with some printed off information basically describing the same as we thought plus a whole list of other issues Epsom salts are used to treat. I headed to the store that afternoon and bought a big bag of Epsom salts. Did I mention these are CHEAP too? Like, really cheap. I was very thankful. That night I put about a cup in Boog's bath and while he was in there I massaged his muscles in his legs and arms. He really liked it! So through my long process of elimination, Boog was having growing pains. Mostly in his legs with no way to tell me. I used Epsom salts and massage in his bath for several weeks and you know what? The random crying stopped :) I wish I had thought of it earlier, but maybe by postin this it might help out another mom trying to figure out what's going on. Vote for us with one click!